Main Blog > NeatoGeek > I Would Have Gotten Away With It Too If It Weren't For You Meddling Kids! Cartoon criminals met their match when groups of teenagers joined by talking dogs, ghosts or anthropomorphic vehicles started looking for clues and solving crimes in 1969. 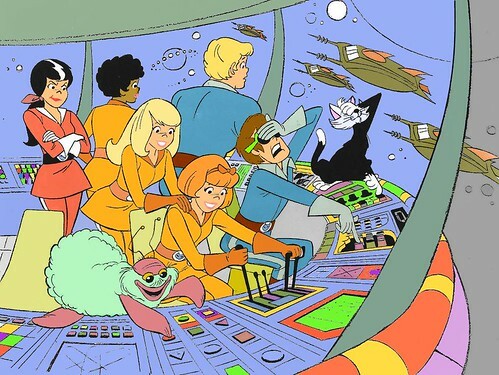 These meddling kids changed the face of Saturday Morning Cartoons, bringing a bit of mystery and supernatural imagination to an otherwise slapstick world, and kids ate up the meddling kids formula like a great big bowl of Ghost Goulash. The group's dynamic formula was pretty simple- a Fox and a Stud were joined by a Doofus and the Nyah Nyah to hilarious effect. These crime solving groups were perfectly balanced, visually appealing and teenagers could actually relate to the characters in the group, which meant these shows appealed to a wider audience. Let's take a look back at ten groups of meddling kids from cartoons past, celebrating their differences while smirking at their sameness. 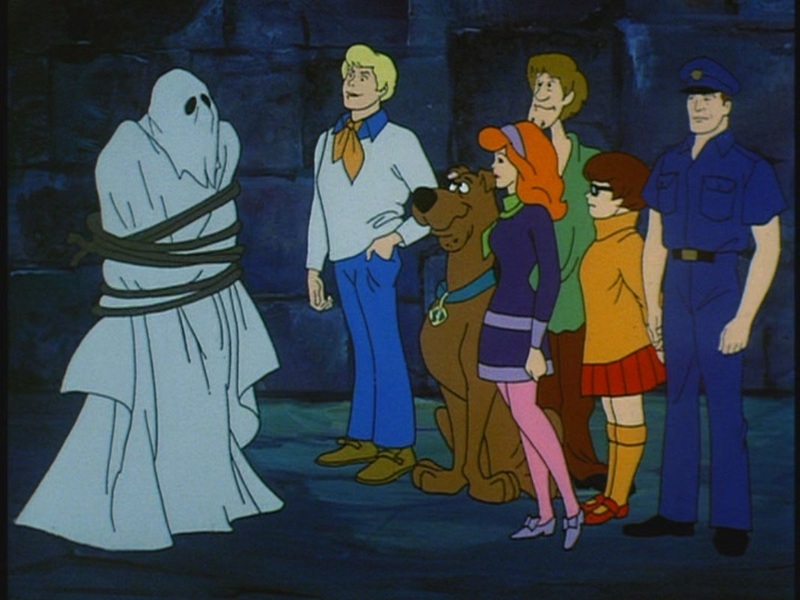 Scooby-Doo and the gang are the ones who started it all, the first pack of teen detectives to take on the tough cases no standard investigators would touch, and their crime solving abilities helped give birth to the classic line "And I would have gotten away with it too, if it weren't for you meddling kids!" The teenage crime solving game took a turn for the strange in The Funky Phantom, because these intrepid teens were accompanied by two real life ghosts- Revolutionary War era coward Jonathan Wellington "Mudsy" Muddlemore and his snickering cat, Boo. Despite the fact that a ghost is part of the main cast the supernatural baddies still turned out to be nothing but criminals in disguise, how's that for funky?! Jabberjaw took the teen crime solving formula deep underwater, and far into the future. It's the year 2076 and Jabberjaw, a fifteen-foot-tall shark named Jabberjaw (who's seems to be the reincarnation of Curly from the Three Stooges) helps teenage songsters The Neptunes solve crimes and defeat any evil villains who threaten the undersea world. It's more sci-fi than horror, and most of the villains look like they should be hanging out with Ming the Merciless, and as usual teenagers totally rule and the old bad guys look like fools. 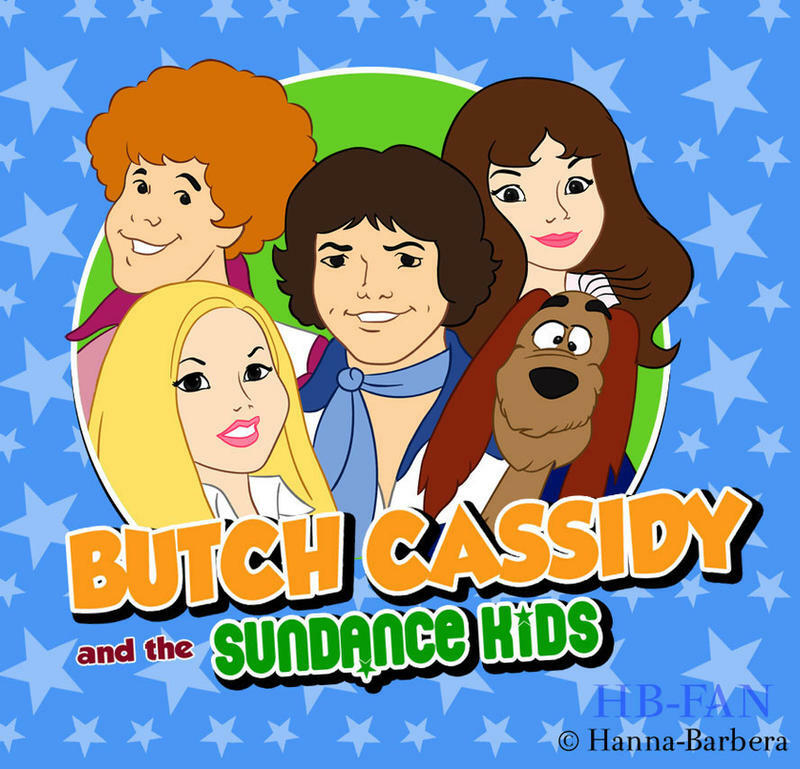 The name Butch Cassidy may conjure up images of outlaws and gunfights, but in this case Butch is a secret agent/pop star and the Sundance Kids are his backing band/teenage crime solving troupe. Butch Cassidy is definitely the blandest group in the bunch, and their secret agent storylines aren't nearly as interesting as the horror or sci-fi themed stories found in the other series, but Butch's dog Elvis is pretty cute! 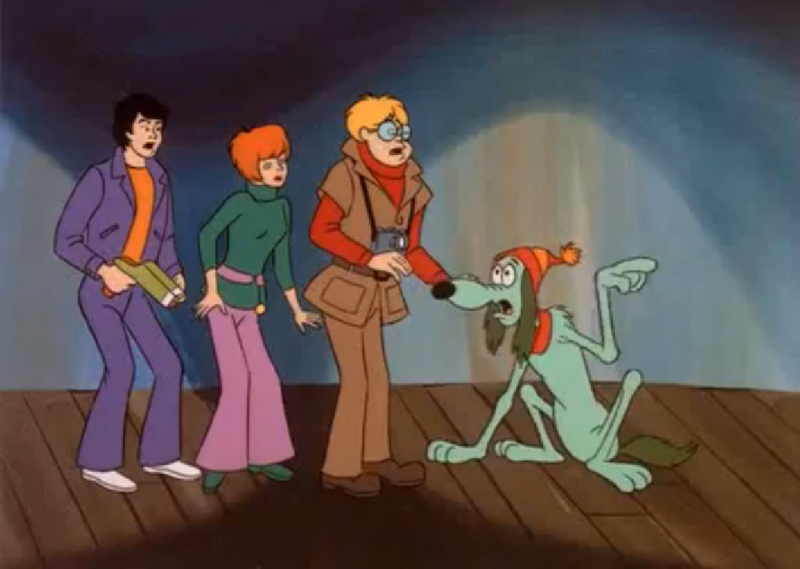 Casper and the Angels was one of the later groups to join in on the groovy ghost busting fun, and they don't exactly fit the formula set forth by Scooby-Doo. For one thing their group is more like two duos, and the Stud in this case is a mangy ghost named Hairy Scary, who scares the bad guys senseless. The episode plots weren't the most amazing or original, but the retro future look of the show had lots of visual appeal, and despite Casper's advanced age he still manages to scare up some laughs. Transportation became part of the team in the offroad racing inspired series Speed Buggy, starring the cutest little sputtering car you've ever seen! Speed Buggy seems to exist in the same cartoon universe as the Wacky Races, and many of the show's storylines could be seen as an extension of the global race themes found in certain episodes of Wacky Races. Josie and the Pussycats were really good at two things by the time they were accidentally launched into outer space in this series reboot- capturing criminals and breaking out in impromptu musical numbers. The enemies, the backgrounds, and their outfits may have changed, but they still knew the best way to bring down those intergalactic bad guys- with a poppy song! 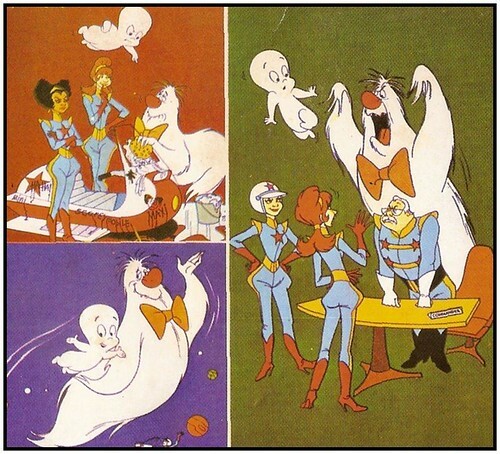 Goober and the Ghost Chasers has always been seen as a Scooby Doo ripoff, but since it was also made by Hanna Barbera let's just agree to call it a lateral storyline. Maybe there are multiple groups of crime solving kids existing within the same animated universe? This ghost busting group used equipment from their Apparition Kit to locate ghosts, then they got the ghosts to help them bust the criminals posing as ghosts! Oh, and did I mention Goober turned invisible when he was scared? A cool power and a better command of the English language...Goober really gave Scooby a run for his money! Charlie Chan is the most famous Chinese-American detective ever, but when he was brought back into the crime solving game in the early 70s he came along with his entire clan- the Chan Clan. The Amazing Chan is a widowed(?) father of ten who uses his family's wide range of talents to solve crimes, with a little help from their dog Chu Chu and an equally amazing van that can transform into all sorts of vehicles. Captain Caveman manages to be even shaggier than the original crime solving doofus Shaggy, and his role as the world's first superhero makes him the perfect guy to call when you're in trouble. However, having someone normal around who can solve crimes without whacking people on the head with a club makes for a stronger group, so the Teen Angels are there to help tame CC's hairy temper! Now don't you wish you'd spent your teenage years solving crimes and hanging around a talking animal instead of sitting around watching cartoons all day? Nah, me neither! What Would The Cast Of Scooby Doo Look Like Today? "It's the year 2076 and Jabberjaw, a fifteen-foot-tall shark named Jabberjaw..." That made me laugh, and then I laughed. I think I figured out why the cat and the Phantom both have cat whiskers. He's the reincarnation of Snagglepuss. Or something. "The voice of Mudsy was provided by Daws Butler and was identical to his voice work for the character Snagglepuss, down to the use of Snagglepuss's catchphrases, Even. (In turn, that voice was an impersonation of actor Bert Lahr.)" I like how it's always just outside the budget to take the time to differentiate the whites of the eyes from the surrounding skin tone. "I Would Have Gotten Away With It Too If It Weren't For You Meddling Kids!"